The Indianapolis Motor Speedway Museum has taken the VIP tour experience to a new level with the rollout of 2-hour private golf cart tours of the iconic racing facility. 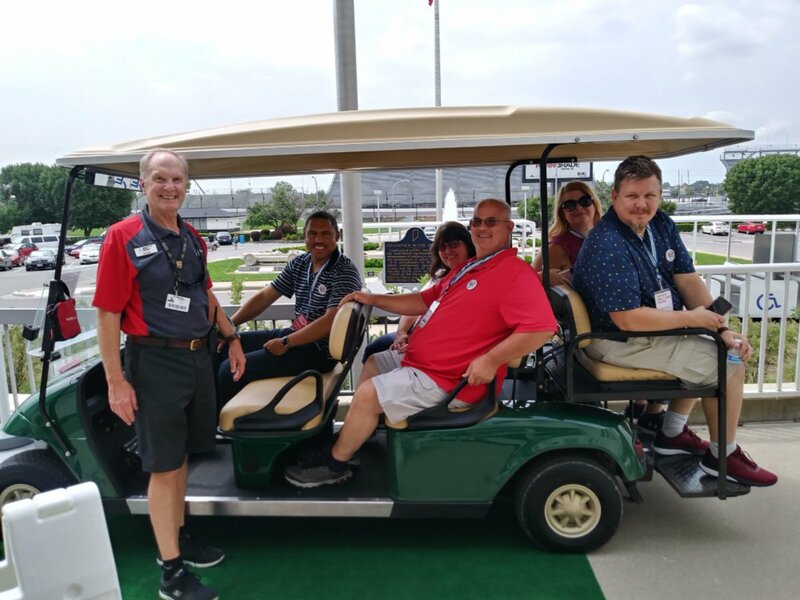 Now available for booking, the private golf cart tours are available for just five guests at a time and are chauffeured by a knowledgeable IMS Museum track tour guide. This special experience comes with a complimentary VIP badge and lanyard, complimentary nonalcoholic drinks, and an in-depth view of the IMS facility in restricted areas such as: the start/finish line and Yard of Bricks; the IMS Media Center; timing and scoring facilities; the Panasonic Pagoda; suites; Gasoline Alley garage area; victory podium; and the Snake Pit concert area. Tickets are $50 per person with a maximum five guests per tour. Minimum age is 12 and minors must be accompanied by an adult. For reservations, contact Mike Smith at msmith@brickyard.com or call the IMS Museum at (317) 492-6784. Information on the IMS Museum’s host of other tour opportunities – including the Kiss the Bricks Tour and Grounds Tour – is available by calling the same phone number, or at the Museum’s official website: www.indyracingmuseum.org .